In an earlier post, before going to England, I had pointed to Salisbury Cathedral as the centerpiece of my pilgrimage. It would be there that I would experience that thin place we seek to find when on pilgrimage. I enjoyed going to Salisbury. It is a magnificent cathedral -- and the company (my friend Bill Gibson) was wonderful. But I didn't experience any spiritual elation, no special connection. Stonehenge was interesting, but I didn't experience anything powerful there either. The day following my trip to Salisbury, I went to worship at Christ Church Cathedral (Oxford) for the first time (I worshiped there four times in all). It was then, in the much more intimate setting of Christ Church Cathedral, that I found my spirits lifted. The organ, the choir, the liturgy, and the Table all drew me in. The sermon was a fine lecture by an important theologian, but it didn't speak to me spiritually (a good reminder for my own preaching). As I noted in earlier postings, my inner Anglican came through powerfully. In a sense I knew I was home. 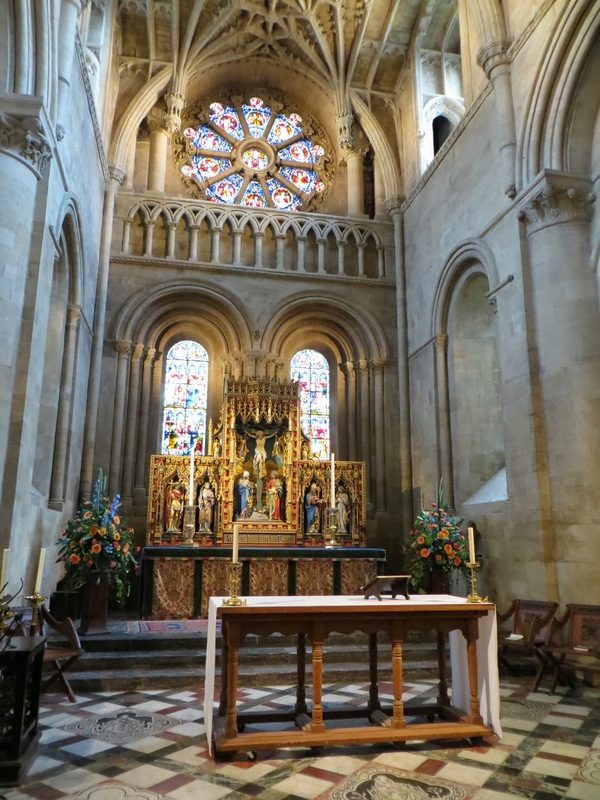 Now I'm not planning on leaving the Disciples any time soon, but spiritually I am very much at home in the Anglican tradition -- especially the Broad Church tradition represented by the Cathedral. No incense (I didn't grow up with that). One of the reasons I'm drawn to the Anglican tradition is that in this tradition we go to the Table, rather than sit and wait for people to pass out the trays of thimble sized cups of juice and little pellets. It is a tradition that uses real wine rather than grape juice (sorry the early church didn't use Welch's). in motion by a new quickening: the sense that we are experiencing and learning needs to be shared with others. Often, pilgrims feel a yearning to resume an ordinary life in which new insights into faith, hope, and love can be practiced. We find ourselves futuring, attempting to discern how daily life can be enriched. We stand, in fact, at the central moment of our pilgrimage, alert for the path and the waymarkers that will guide us to a more abundant life (P. 71). I loved being in England, especially Oxford. But by Monday, with just a few days left in England, my heart began to turn homeward. It was time to, as Susan notes, time to resume my ordinary life -- with Cheryl and Brett. It wasn't a long separation, but . . . . And so I returned. 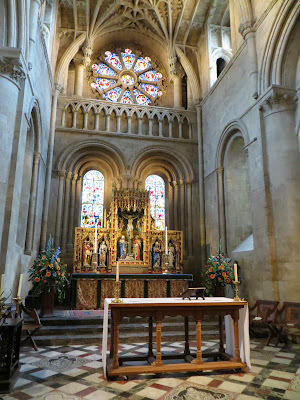 Before I returned home, on my final evening in Oxford, I returned one more time to Christ Church Cathedral for Evensong. For one last time I would worship in what had become my spiritual home. I listend to the organ play ancient hymns, and the choir intone the Psalm, the Magnificat, and the Nunc Dimittis. With this, I was prepared spiritually for the journey home. And now I seek to reflect upon what I experienced, taking stock of new insights into my own sense of personhood in the presence of God. Now, the sabbatical is only just one month along, with two more to go, but I have been well served by this first leg of the journey!